The problem with fiction is that if it tries to reflect the real world too accurately you run into all sorts of logical problems. This is particularly noticeable with long running TV series - especially soaps - as they strive to reflect the real world more and more. Take Eastenders. Its grim portrait of life in the east end of London is on several times a week at prime time with an omnibus edition on Sundays. This raises the question - in the Eastenders universe what is on BBC1 at the times Eastenders is shown in ours? Are they watching us? The problem is of course that soaps often are a big part of the viewing public's lives and the omission of itself as fiction from the world it portrays means that a soap such as Eastenders will always have an air of unreality about it. But there's nothing really that could be done about it - the invention of another fictional soap to fill the gap would have the opposite effect and make things appear even further from reality. Sometimes it's not the omission of itself from its fictional world that causes problems but the (perhaps necessary) omission of a whole concept. Take The Walking Dead. 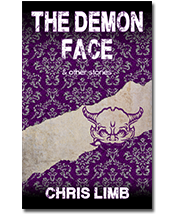 Set in a alternative present day/near future beset by a zombie apocalypse it is realistic and contains pop culture references to the real world. And yet… has not a single one of the survivors ever seen a zombie movie? You'd expect them to say "Hey, this is just like that movie…" or occasionally use the z-word. At least in most fiction featuring vampires people know what they are when faced with one, even if they thought they were fictional. When a show is based on a true story things get even more potentially knotty. 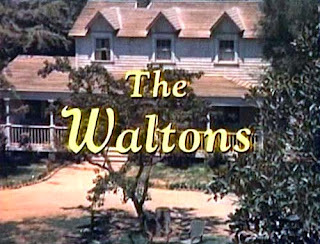 Long running TV series The Waltons, based on the life of writer Earl Hamner, was first broadcast in 1971 and was set in 1933. If the series had continued to be made past the 80s with show-time keeping in step with real-time then in 2009 the show would have been set in 1971 and would have had to include the launch of a TV show based on the characters' lives as of course that is what happened in the real life upon which the show was based. And then in 2047 they would have ended up watching an episode set in 2009 in which the double-fictional Waltons watched the triple-fictional Waltons in 1971 watch the first episode of a series featuring the quadruple-fictional Waltons in 1933. It's just as well it was cancelled. But it's when two shows are involved that the paradoxes really start to pile up. To celebrate the 30th anniversary of Doctor Who a (non-canon) charity cross over with Eastenders was broadcast, Dimensions in Time. Whilst this is best considered a piece of fluff that didn't really happen within the continuity of either shows, the shows' relationship with each other remains a complex one. But how can they each be fictional shows in each others worlds without the universe collapsing? And didn't Doctor Who fans in Eastenders wonder why Torchwood boss Yvonne Hartman was a dead ringer for Den's second wife Chrissie? The answer of course is willing suspension of disbelief. Compared to some of the things these shows would have us believe - especially Eastenders - a little bit of recursive paradox should be childsplay. It's not real. This does raise the question about what happens when a show is deliberately linked to another, when hints are put in place that you might not spot unless you're concentrating. For instance, remarks made in a season two episode imply that Lost takes place in the same universe as The Office (UK). This means that it is entirely possible for David Brent to be killed by the smoke monster. Which would have been a fantastic episode of either show.